Angular 2.3 is released! One of the exciting new feature is component inheritance. Component inheritance is very powerful and it can increase your code reusability. 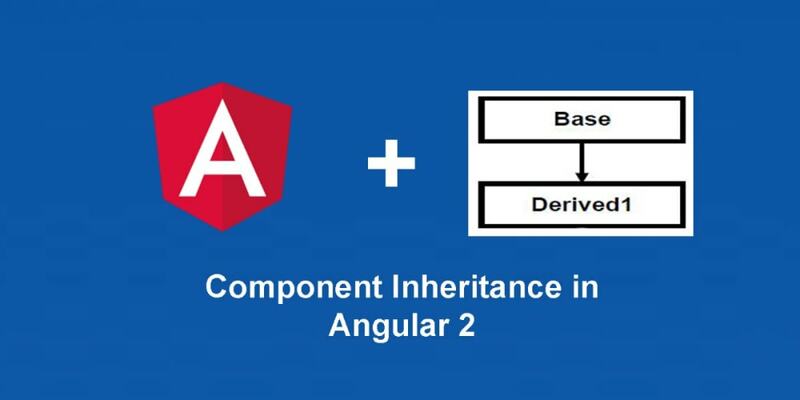 What does component inheritance provide us? Metadata (decorators): metadata (e.g. @Input(), @Output), etc. defined in a derived class will override any previous metadata in the inheritance chain otherwise the base class metadata will be used. Constructor: the base class constructor will be used if the derived class doesn’t have one, this mean that all the services you injected in parent constructor will be inherited to child component as well. Lifecycle hooks: parent lifecycle hooks (e.g. ngOnInit, ngOnChanges) will be called even when are not defined in the derived class. Component inheritance DO NOT cover templates and styles. Any shared DOM or behaviours must be handled separately. Let&apos;s start with a simple use case. Someone wrote a pagination component. You like the component and its logic. The functionality is exactly what you are looking for. You want to use it, but you want to apply your own styles. Here&apos;s a quick look at what we&apos;ll be building. Instead of button, you want it to be hyperlink. Let's take a look of the original pagination component. The code is pretty expressive itself. We accept two inputs: page for current page count and pageCount for total pages. Whenever the page changes, we will emit pageChanged event. Disable the previous or next button whenever reaching the min and max page. Now that we need to customize the pagination component, we can extend it instead of duplicating the same logic again. First, we import the SimplePaginationComponent. Then, we simply extends the SimplePaginationComponent class. We change the view template to use hyperlink. You can see that we can reuse all inputs, outputs, properties and function in SimplePaginationComponent in our view template. Let's modify our original component to accept customization of Previous and Next text. When user doesn't pass in previousText, default the text to Previous. When user doesn't provide nextText, set it to Next. We would like to let user customize the Previous and Next text in our extended component as well. However, instead of default the text to Previous and Next, we want the default value to be << and >>. We can do so by overriding the previousText and previousText property in our child component. Let's say we allow user to provide title for our child component. However, parent component don't need that. We can add title as input to our child component only. Here is the live example of our demo. With the introduction of component inheritance, it greatly improve the reusability and customization of our components.